Below you can view all the homes for sale in the Bridgewater Avon subdivision located in Avon Indiana. Listings in Bridgewater Avon are updated daily from data we receive from the Indianapolis multiple listing service. To learn more about any of these homes or to receive custom notifications when a new property is listed for sale in Bridgewater Avon, give us a call at 317-662-3724. This home has it all, just waiting for you!! ! MLS#21633787. Keller Williams Indy Metro W.
Don’t delay – schedule your showing today. MLS#21633093. Keller Williams Indpls Metro N.
Step out onto the large paved patio with pergola & a natural gas fire pit all over looking the recently fenced in back yard and beautiful pond. The sunsets are amazing here! MLS#21632275. RE/MAX Centerstone. And at this price, it won’t last long!! ! MLS#21623101. Harvest Realty Group LLC. 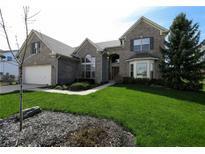 Located in the most desired neighborhood in Avon. MLS#21619180. Keller Williams Indy. 4ft extension in finished garage allows for storage of lawn tools and bikes. MLS#21609537. JCD Realty LLC. Don't miss out on this one! MLS#21595039. Wynkoop Brokerage Firm, LLC.